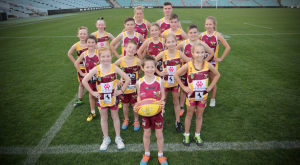 Played over the third weekend in February and held in Port Macquarie, this is the largest weekend event on the Touch Football calendar with over 17,000 attendees. 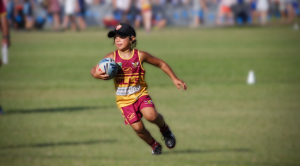 The Touch Football Junior State Cup is the largest sporting tournament held in NSW each year and has divisions for under 10’s all the way through to the under 18’s. A great opportunity for the aspiring junior player and a chance to be the best team in the state makes this an amazing weekend every year. Trials are usually in September each year. Southern Conference – Friday 22nd February to Sunday 24th February 2019. State Final – Saturday 27th April to Sunday 28th April 2019. N.B To participate in any of these tournaments for our club you must be a current financial and participating member of the existing social competition. 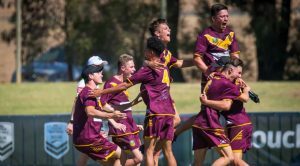 Hornets Swarm at Southern Conference- In the inaugural NSW touch Junior State Southern Conference, the Hills Hornets U18 Boys and U12 Girls have been crowned champions. 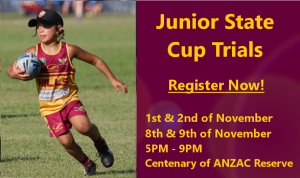 Junior State Cup 2019 Trials- Hills Hornets is proud to announce the start of the 2019 Junior State Cup Campaign. Hills Hornets Junior State Cup Wrap- It was another impressive performance from Hills Hornets Touch at the NSW Touch 2018 Junior State Cup. 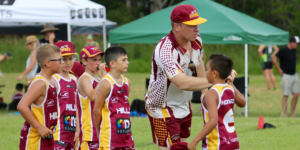 Junior State Cup 2018 – Final Teams Announced- Hills Hornets Touch is very pleased to announce the following teams and train-on squads for Junior State Cup 2018. Junior State Cup 2018 – Selection Trials- Hills Hornets are pleased to announce details of trials for Junior State Cup 2018. Junior State Cup 2017 Teams Announced (Updated)- Hills Hornets Touch is very pleased to announce the final teams for Junior State Cup 2017. Junior State Cup Train-on Squads Announced- Hills Hornets Touch is very pleased to announce the following train-on squads for Junior State Cup 2017. Junior State Cup Trials- Hills Hornets are pleased to announce details of trials for Junior State Cup 2017.